Susanna Leonard Hill features Perfect Picture Book on her blog on Fridays. This is a wonderful resource if you are wondering what books to give as gifts, needing material for a lesson, and mainly just perfect for those who love to read picture books. Here is a list of books by category. Each book listed is a link to information about that book. It is very handy. 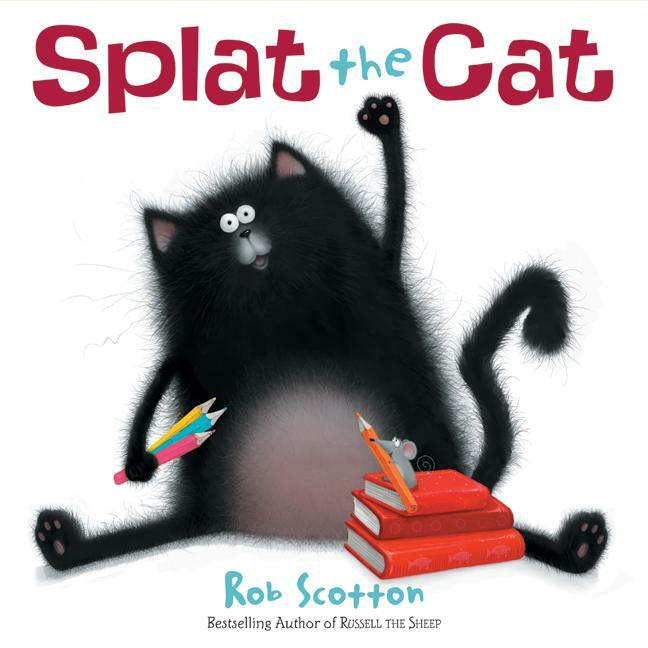 This week, I have chosen Splat the Cat for Perfect Picture Book Friday. Brief Synopsis: (from Barnes and Noble) It’s Splat’s first day of school and he’s worried. What if he doesn’t make any new friends? Just in case, Splat decides to bring along his pet mouse, Seymour, and hides him in his lunchbox. The teacher, Mrs. Wimpydimple, introduces Splat to the class and he soon starts learning all his important cat lessons. But when Seymour escapes and the cats do what cats do (they chase mice! ), Splat’s worried again. Maybe now he’ll lose all his friends, old and new! Just in time, wise Mrs. Wimpydimple takes charge and teaches everyone an important new lesson. Maybe Cat School is going to be okay after all! Why I Like This Book: Splat is so cute that you wish you could grab him out of the book and hug him. His tail is a work of art. And speaking of art, Rob Scotton’s illustrations are whimsical and perfect. His story telling makes you look forward to every page turn. Children will see that school isn’t so scary and that making new friends will be fun. 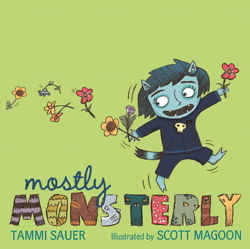 After you read this book, you will want to read all the Splat books! Check out the other titles on Rob Scotton’s website. Yea! It’s Perfect Picture Book Friday. Today I am going to tell you about the book I have read more times than any other picture book. Brief Synopsis: (from Amazon) Bernadette might seem like an ordinary monster, but sometimes she likes to do some very unmonsterlike things, like pick flowers. And pet kittens. And bake. When the time comes for Bernadette to go to Monster Academy, she’s just a teensy bit nervous. Her classmates just don’t understand her. They’d rather uproot trees than sing friendship songs. And they prefer fried snail goo to Bernadette’s homemade cupcakes with sprinkles. Can Bernadette find a way to make friends at school and still be herself? Resources: Although, I didn’t find any resources for teachers, I did find the special recipe for Cupcakes With Sprinkles from Tammi’s website. Also, I believe a teacher could use Bernadette’s cards as fun examples for a Halloween project. Believe me (as a retired teacher)…if a teacher reads this book, ideas will come. Maybe one of you will come up with some activities to share on the Internet. Susanna Leonard Hill features Perfect Picture Book on her blog on Fridays. This is a wonderful resource if you are wondering what books to give as gifts, needing material for a lesson, and, mainly, just perfect for those who love to read picture books. Here is a list of books by category. Each book listed is a link to information about that book. It is very handy. 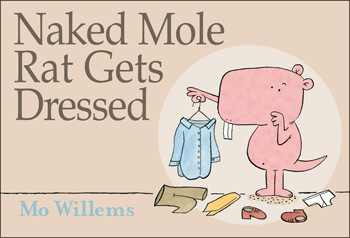 I love Naked Mole Rat Gets Dressed by Mo Willems and chose it for Perfect Picture Book Friday. Resources: I was afraid that I couldn’t find any resources for anything naked…but HERE is a wonderful Activity Guide from The Pigeon 🙂 And another equally wonderful guide from Junior Library Guild, HERE. 1. You need to read it. 2. You will want to read it again and again. 3. You will all love it. I am participating in 12 x 12 in 12. This means I have committed to write one picture book draft per month for each of the twelve months of 2012. Julie Hedlund is the creator. Thank you Julie. Head on over to her blog and read all about it. #1 Just look at the badge I get to put on my blog. It’s a reason in itself. A huge bonus. It was designed by Linda Silvestri. If you want to be completely blown away, just visit her blog, sketched out, and soak up the beautiful creativity. It is an experience that will add happiness to your day. #2 This will give me the perfect opportunity to choose twelve ideas from the list I came up with when I participated in PiBoIdMo in November 2011. It was wonderful-30 ideas in 30 days! And what an awesome 30 days. Tara Lazar created PiBoIdMo and did the most amazing job. You should pop on over to her blog and read the list of guest bloggers and see the list of wonderful prizes that were won. #3 I take myself seriously as a writer. I dream of being published. This is such an important step. I will be writing! writing! writing! And that is what writers do! 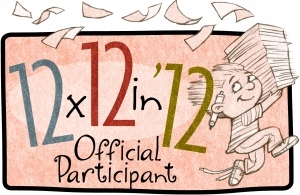 #4 At the end of December 2012, I will have 12 picture book drafts! Whoa! Really? Incredible! I love reading those words….At the end of December 2012, I will have 12 picture book drafts completed! Ok, you may have thought that since we are talking in twelves that I would have 12 reasons! I imagine I could think and think and think and come up with twelve…but let’s face it. I would spend way too much time thinking, and all of you would be way too bored!!! So just multiply my four reasons times three and you will have done some easy math and come up with the number twelve which is what this is all about!